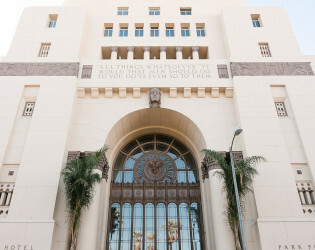 The MacArthur has been one of Los Angeles’ most prized properties since its establishment in 1925. The MacArthur is exclusively reserved for special events and filming. 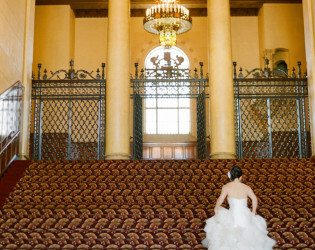 For this reason, our staff works diligently to ensure that every event is meticulously planned and flawlessly executed. 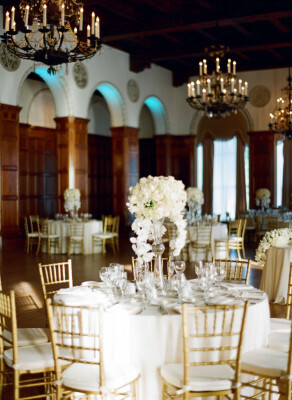 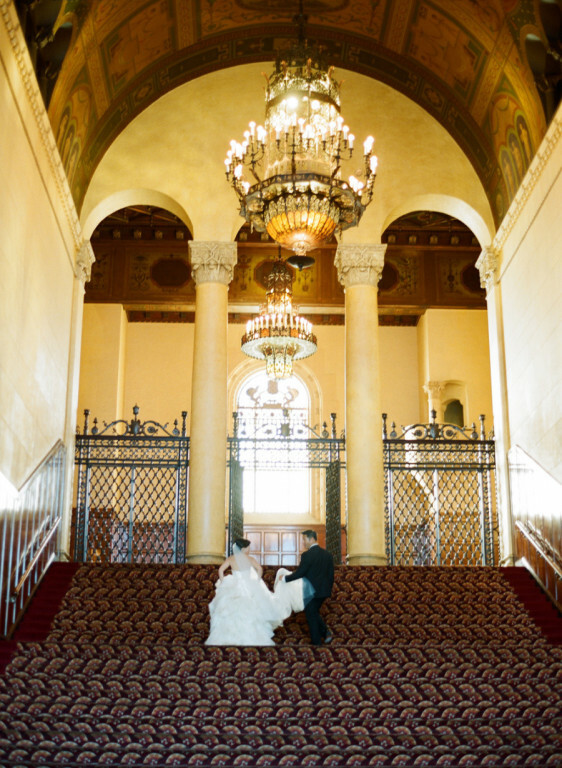 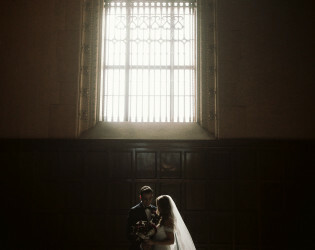 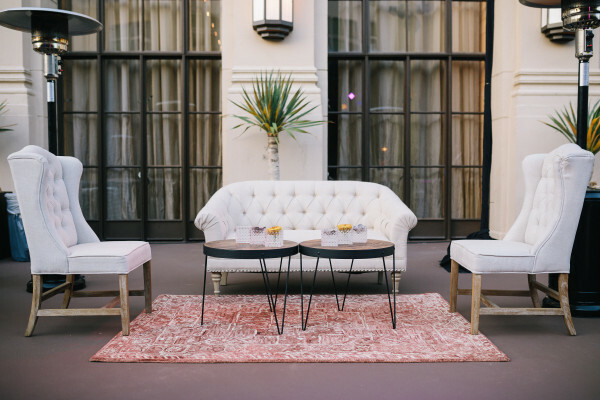 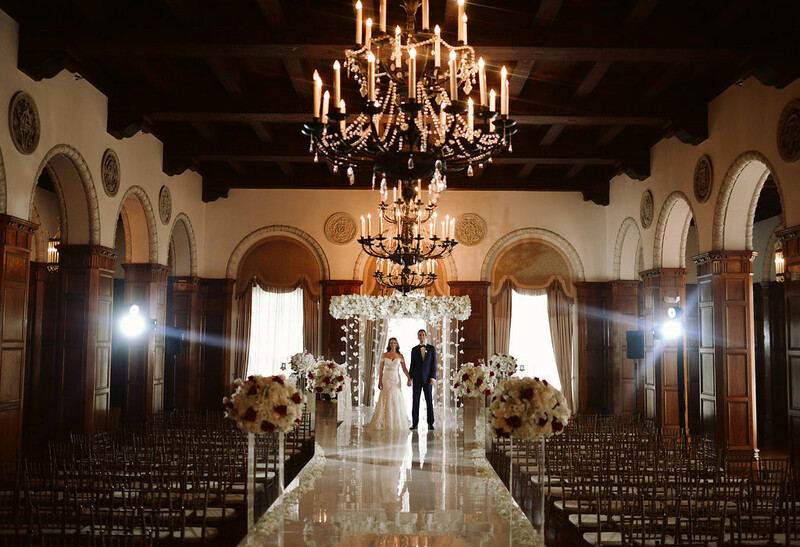 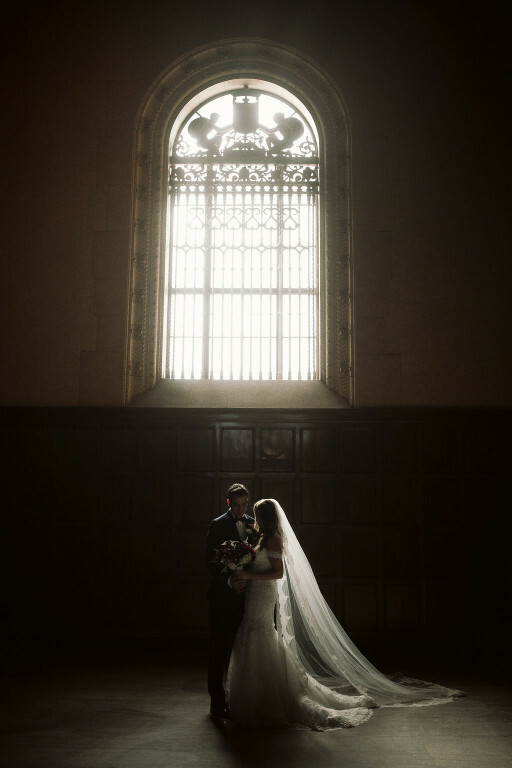 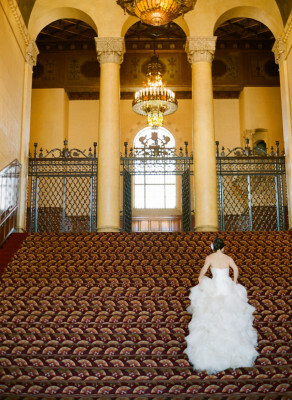 With historic finishes and elaborate Art-Deco details, The MacArthur offers some of the most unique and beautiful event spaces in Los Angeles. 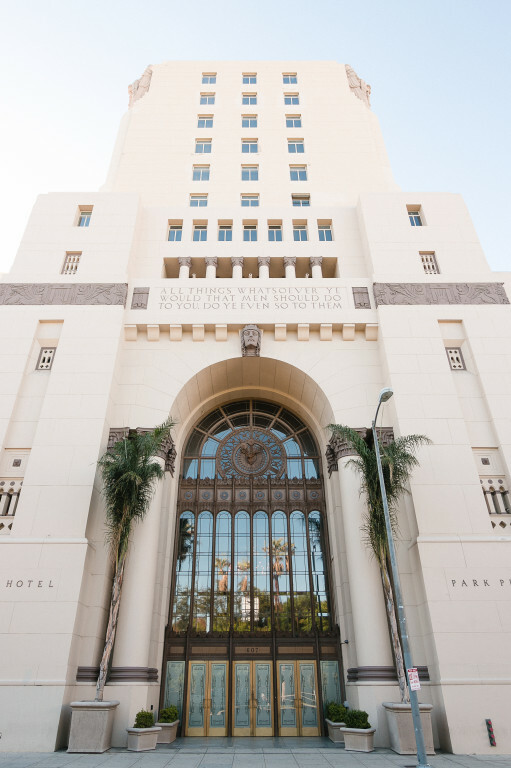 The MacArthur has been one of Los Angeles’ most prized properties since its establishment in 1925. While the building was originally conceived as an Elk’s Lodge and later converted to a luxury hotel, today, The MacArthur is exclusively reserved for special events and filming. 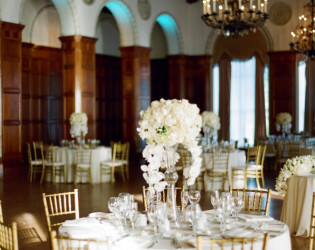 For this reason, our staff works diligently to ensure that every event is meticulously planned and flawlessly executed. 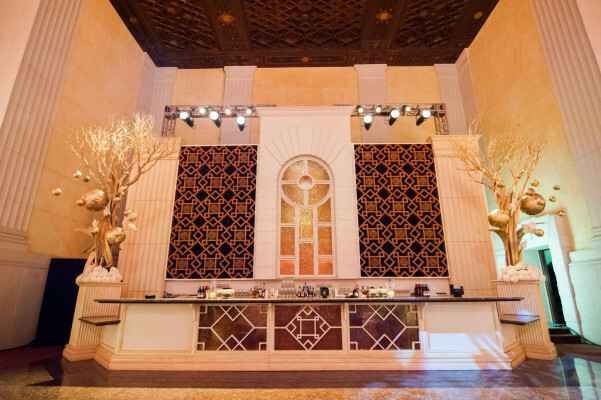 With historic finishes and elaborate Art-Deco details, The MacArthur offers some of the most unique and beautiful event spaces in Los Angeles. 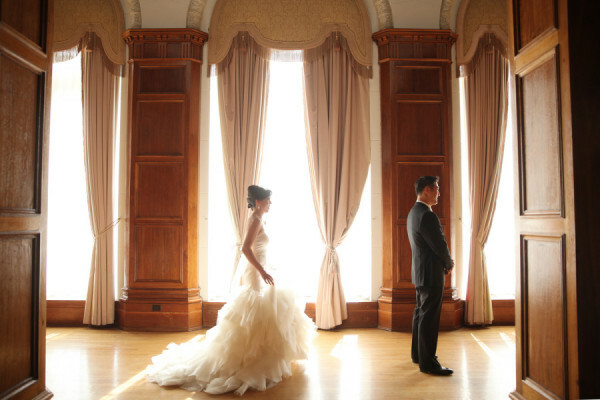 Guests may choose from a variety of event spaces: Elks Hall, The Grand Ballroom, The Plaza Ballroom, The Lounge, The Garden and The Historic Lobby. 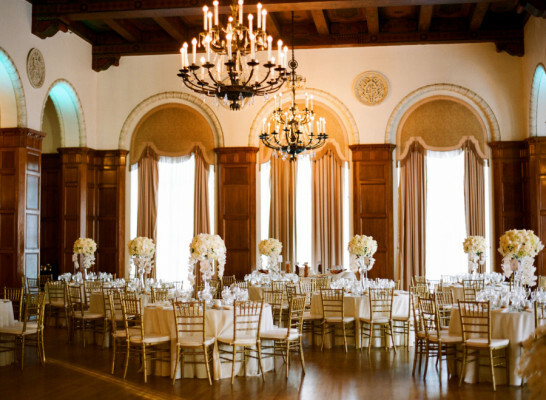 The MacArthur offers award-winning, in-house catering services with an assortment of food and beverage options. Our team will happily assist you in setting up a tour of The MacArthur. 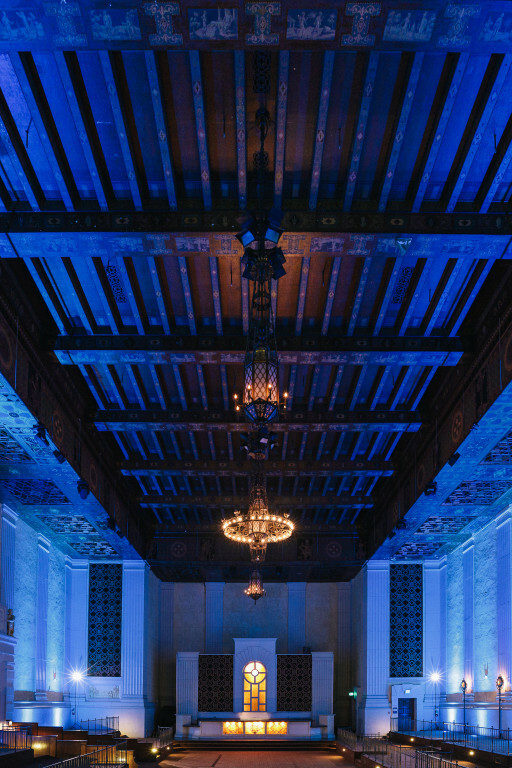 There is a $25,000 minimum for events. This minimum can be met with catering, beverages, venue rental fees and service charge. 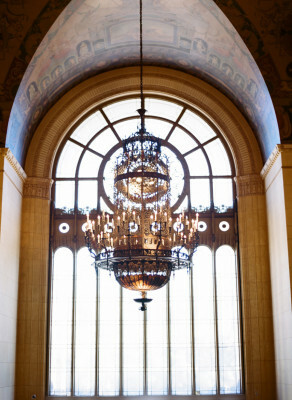 There is a 20% service charge on food and beverage. 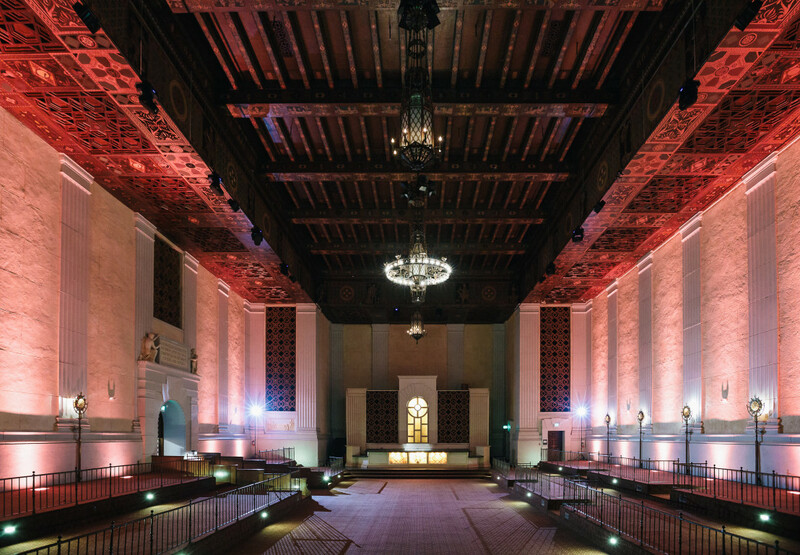 Layout board is required for all events to protect the walls, floors and elevators during load in and load out. 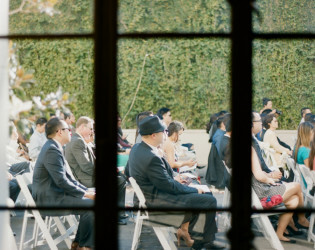 This fee typically ranges from $750-$1,500 depending on the size of the event. A minimum of 3 security guards is required for all events. 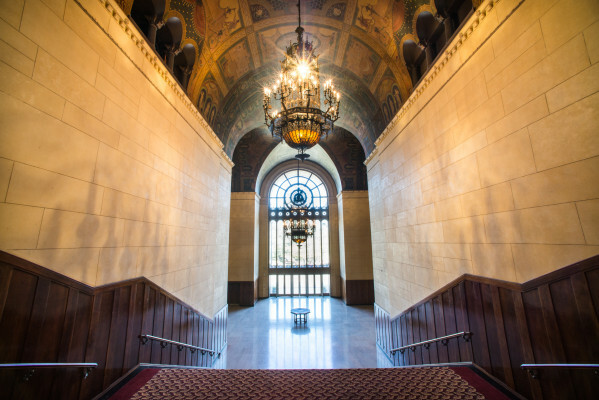 The guards are $35 per hour with a 5-hour minimum. 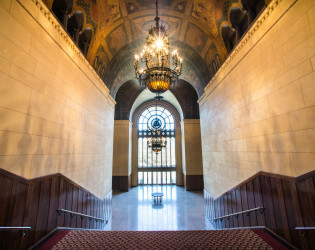 Conceived in the Gothic Revival architectural style, the building features enormous angels on each corner of its exterior and a set of antique brass elk antlers above the grand entry to the building. 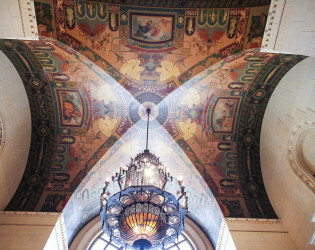 The elaborate interior murals and decorative paintings were designed by Anthony Heinsbergen and Co, noted painter of numerous Los Angeles cultural landmarks. 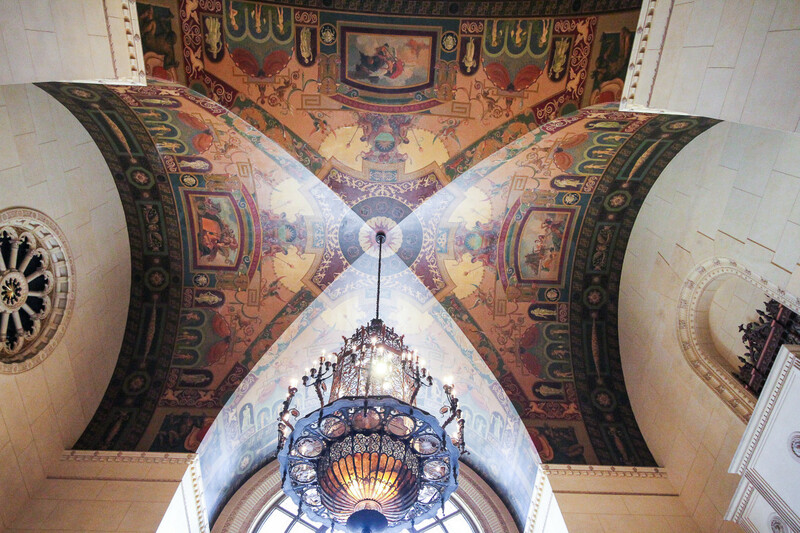 The central design of the lobby ceiling is based on the Villa Madama, a Renaissance-era project by Raphael and Giulio Romano. 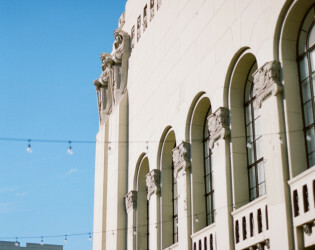 The Elks later sold the building due to shrinking attendance in their ranks, after which it was transformed into a luxurious set perfectly on the once glamorous MacArthur Park. 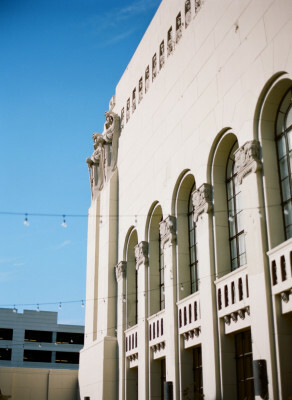 Today, The MacArthur is no longer a functioning hotel but is exclusively used for events and filming. 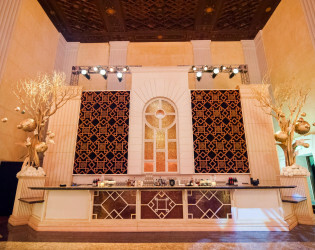 We have an onsite mixologist ready to create one of a kind cocktails for your event. 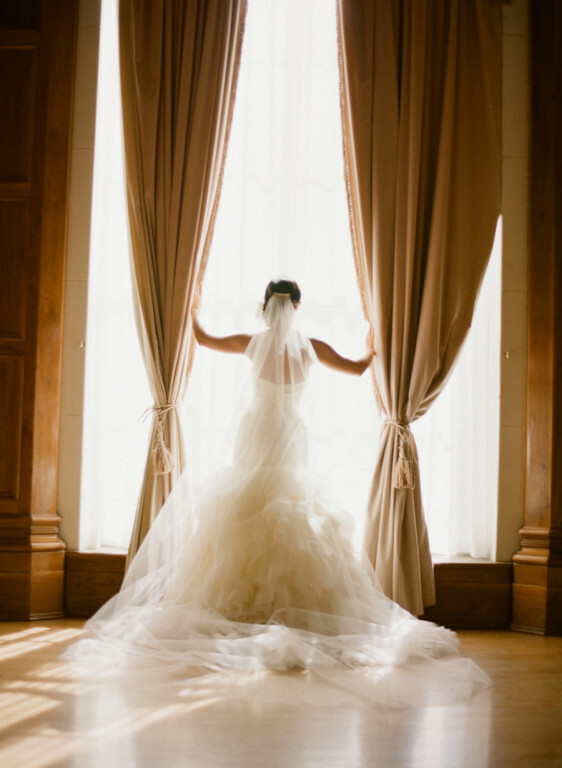 Included with the rental fee are round and rectangular dinner tables, gold chiavari chairs with ivory or black cushions, ivory or black table cloths and napkins, a red carpet entrance, bathroom attendants, glassware, flatware and china. The Lounge is located on the ground floor of The MacArthur and formally served as the Elks' private cigar room. It it the most intimate space within the building and is ideal for cocktails or small-seated dinners. 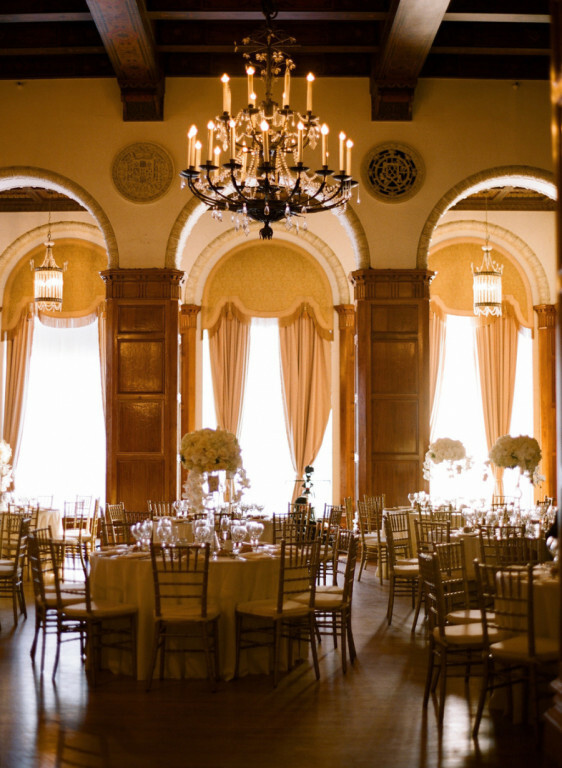 With dark wood wainscoting, tasseled antique chandeliers and Corinthian columns, the space is both unique and elegant. 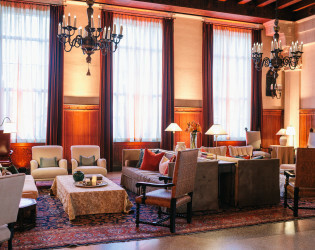 The Lounge can accommodate 50 guests seated and 150 guests for a cocktail reception. 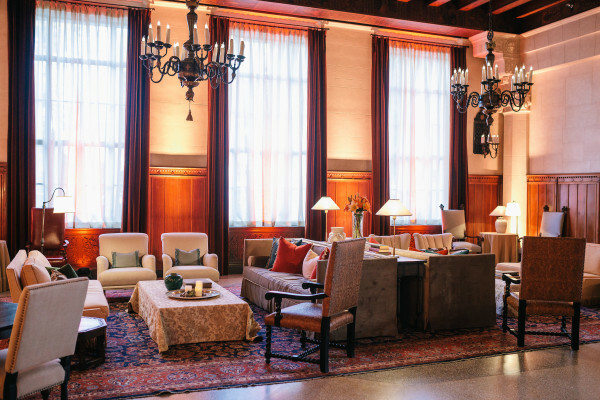 The Lounge is located on the ground floor of The MacArthur and formally served as the Elks' private cigar room. 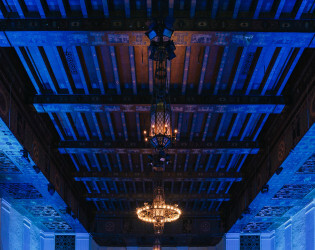 It it the most intimate space within the building and is ideal for cocktails or small-seated dinners. 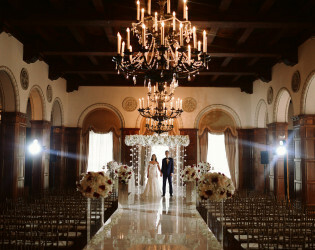 With dark wood wainscoting, tasseled antique chandeliers and Corinthian columns, the space is both unique and elegant. 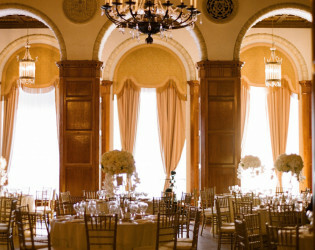 The Lounge can accommodate 70 guests seated and 150 guests for a cocktail reception. 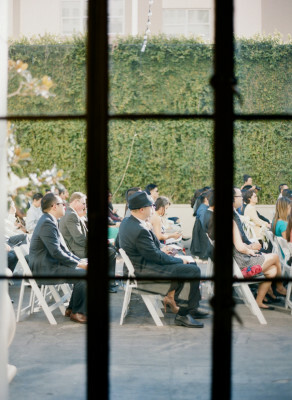 The Garden is the outdoor space located off of the Park Ballroom. 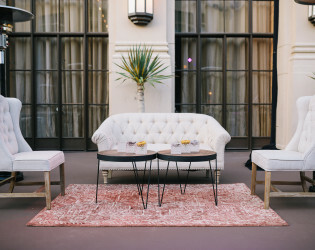 The private, open-air courtyard— adorned with greenery and flower planters— serves as the ideal location for exchanging vows. 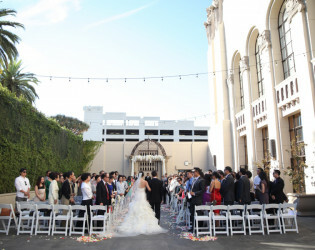 The Garden can accommodate 330 guests seated, 270 guests with a dance floor and 750 guests for a cocktail receptions. 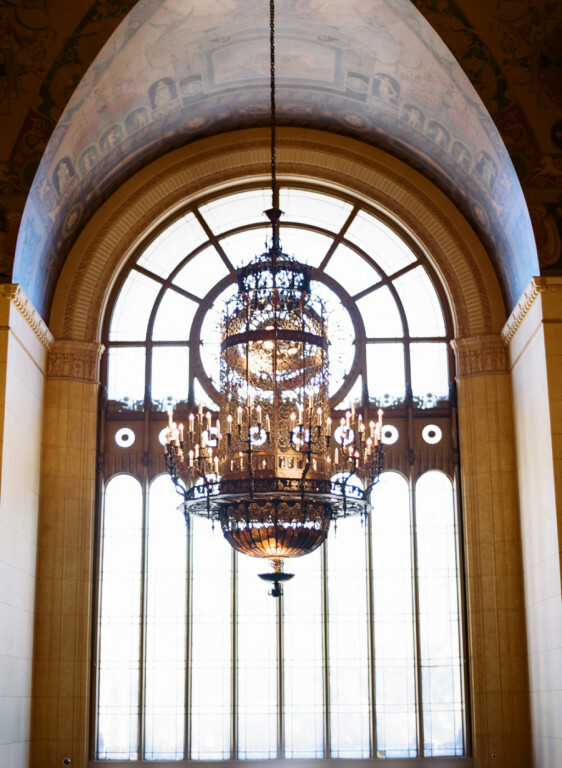 The Historic Lobby is one of the most grandiose spaces in Los Angeles. With cathedral-like ceilings, large ornate windows, elaborate murals and an extravagant antique chandelier, the Historic Lobby was meant to evoke the Renaissance-era Villa Madama of Italy. 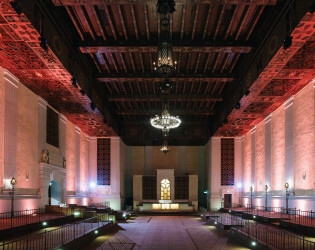 Elks Hall is The MacArthur's largest event space. 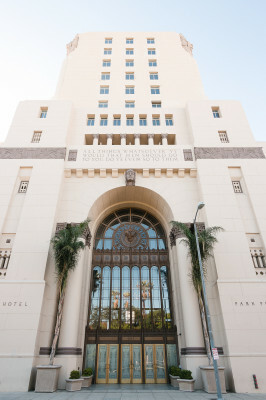 Paying direct homage to the Art Deco motif. 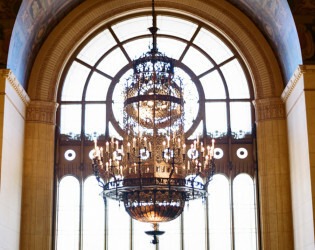 Elks Hall features elaborate sunburst sconces, a magnificent chandelier and exceptionally tall hand-decorated ceilings. 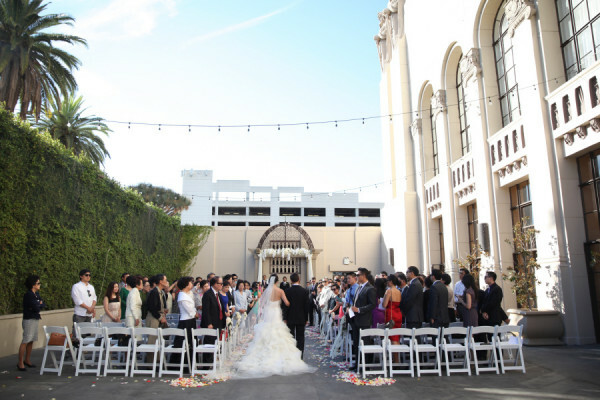 The multi-level space is meant to accommodate any kind of extravagant event. 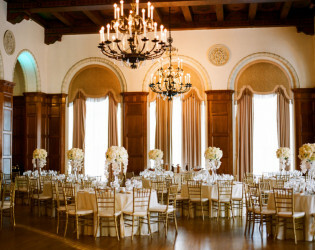 Elks Hall can accommodate 500 guests seated, 400 guests with a dance floor and 700 guests for a cocktail reception.